2 layer board of 1.44 x 1.44 inches (36.5 x 36.5 mm). Uploaded: May 8th, 2017 14:07. 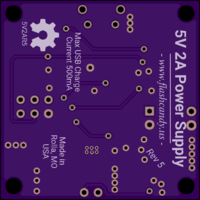 I designed this power supply for small projects, prototyping, Arduino, IoT, and wireless embedded applications. 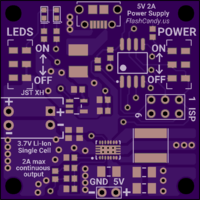 An ATtiny45 provides the ideal balance between features and efficiency. When on, efficiencies go as high as 92%. When off, it only consumes 2μA! It uses two LEDs, red and green, to provide simple information about the charging and power of the device. This power supply has protection for input overcurrent, output short circuit, output disconnect, battery disconnect, battery overvoltage, and battery undervoltage. It’s difficult to find a power supply to convert a Lithium-Ion battery to a 5V output with high current output, high efficiency, and safety features. This board uses the Texas Instruments TPS63020, which is capable of this task. 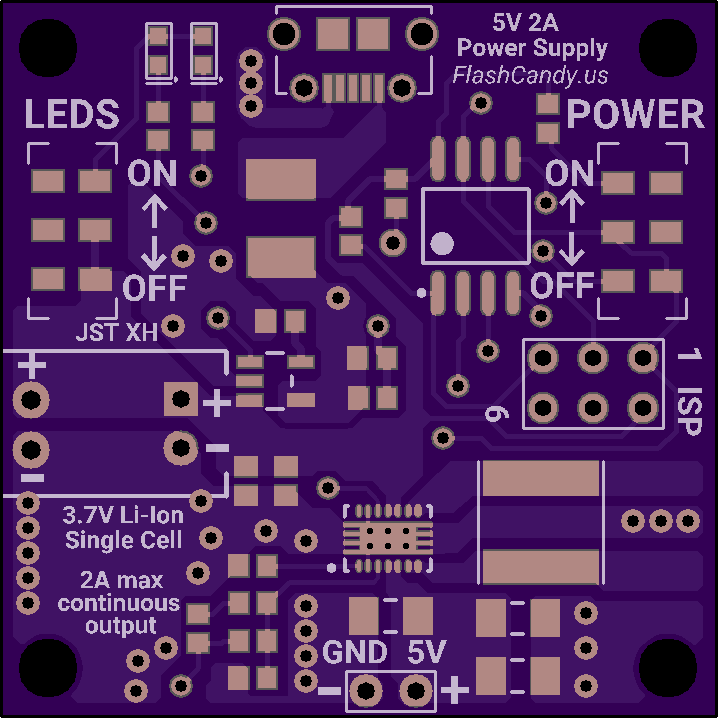 This power supply uses a single cell Lithium-Ion battery. The battery is charged at a maximum of 500mA using the Microchip MCP73831. 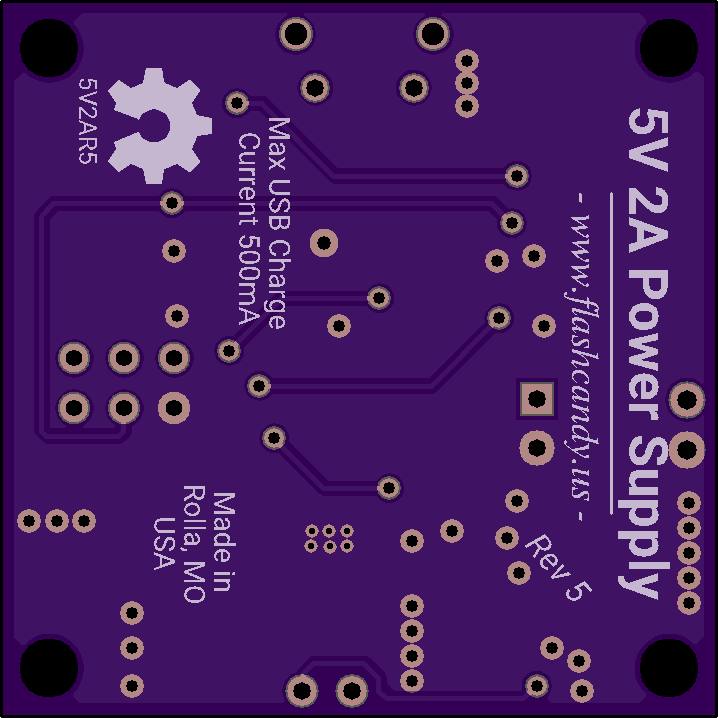 A battery is required to use this power supply.